10. Chicago Bulls trade LaMarcus Aldridge to Portland Trail Blazers. Imagine the Chicago Bulls frontcourt right now if you simply took Carlos Boozer and swapped him out with LaMarcus Aldridge. Obviously, that doesn't quite hold up because if the Bulls had held on to Aldridge, they probably don't do poorly enough to end up with Derrick Rose and/or Joakim Noah. 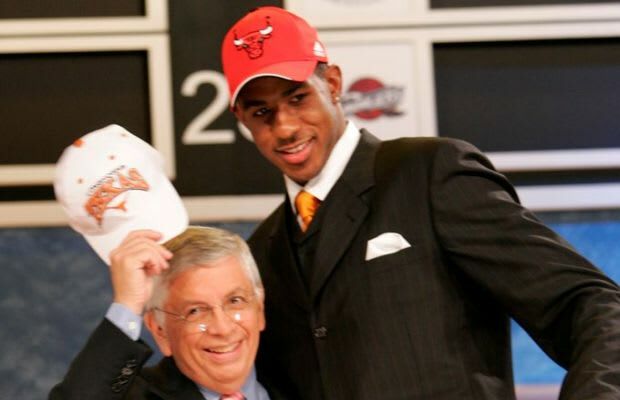 However, if you throw Aldridge onto that 2006-07 Bulls team that won 49 games behind Luol Deng, Kirk Hinrich, Ben Wallace, and Ben Gordon, and you have a team built to win both in the short and long-term. Instead, they got three-plus seasons out of Tyrus Thomas before they flipped him to Charlotte for Acie Law IV, Ronald "Flip" Murray, and a future first round draft pick.